Babushan debuts as producer in upcoming Odia movie "Suna Pila Tike Screw Dhila"
Bhubaneswar: After giving several hit films, Ollywood chocolate hero Babushan Mohanty has entered into film production. Babushan has revealed the name of the film Suna Pila Tike Screw Dhila. It will be the first movie to be made under the banner of Babushan Productions. 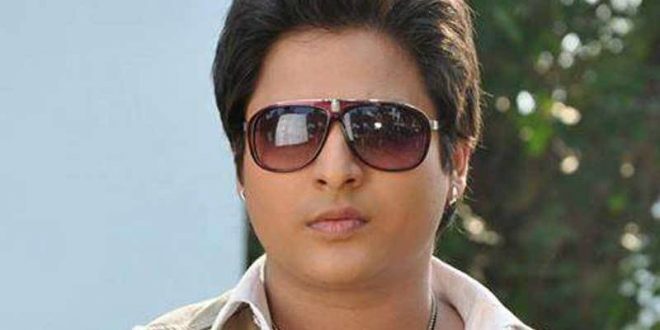 The Ollywood actor is coming as a lead actor in the romantic-comedy movie. The film will be directed by Sudhakar Basant. “This year, we will start working on the film and try to release it this year,” said Babushan. In the Odia movie Suna Pila Tike Screw Dhila, the audience will enjoy the comedy timing of Babushan and Papu Pom Pom. Melody king Abhijit Majumdar is the music director of this movie and lyrics is done by Nirmal Nayak. Babushan’s upcoming film is Dil Deewana Heigala. The movie will be released on January 13. I love you babusan bro your film very nice ……. hy babu wel com to film very nice ………!! !